Kick off your visit on the 21st (Thu): appreciate the extensive heritage of Grote Markt van Antwerpen, take in the architecture and atmosphere at Cathedral of Our Lady, wander the streets of Meir, then take a stroll through Zurenborg, and finally sample the tasty concoctions at De Koninck Antwerp City Brewery. 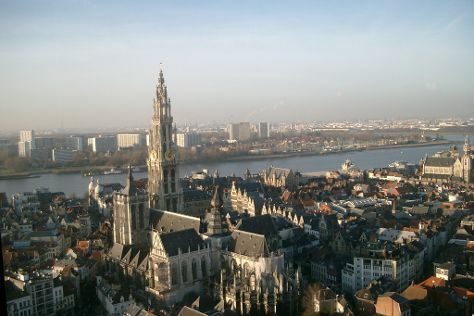 To find other places to visit, maps, photos, and tourist information, read our Antwerp holiday planning app . If you are flying in from Iceland, the closest major airports are Brussels Airport, Antwerp International Airport (Deurne), Brussels South Charleroi Airport and Liège Airport. In June, plan for daily highs up to 26°C, and evening lows to 13°C. Cap off your sightseeing on the 21st (Thu) early enough to travel back home.